Coming July 2017. 304pp; colour ills. 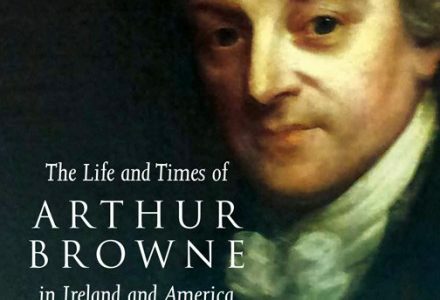 Born in Rhode Island, Arthur Browne was a lawyer, a scholar, and a politician in the Ireland of the late eighteenth century and established a brilliant reputation in all three areas at a time of enormous conflict and upheaval. The pre-eminent maritime lawyer of his era, Browne was also an MP in the Irish parliament, and the Regius Professor of Civil and Canon Law at Trinity College Dublin, where he has been described as ‘one of the most able and learned academic lawyers ever to teach there’. A brilliant and forceful debater, Browne opposed violent revolution, supported the Catholic cause, and became one of the most powerful liberal voices in the Irish parliament in the 1790s. His international reputation as a legal scholar was established by his two-volume study on the civil law and the law of the admiralty published in 1797 and 1799, a work that had a major influence around the world and especially on American maritime law. 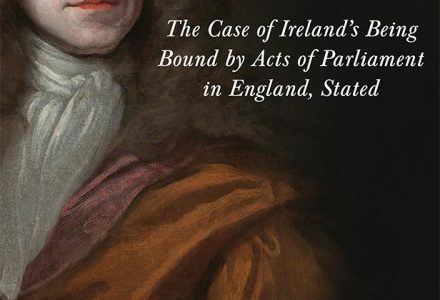 This new book explores how the American-born Browne became a leading figure in Irish law, academia and politics, and it provides a new perspective on his role in parliament during the controversial passing of the Act of Union in 1800. Joseph C. Sweeney is the John D. Calamari Distinguished Professor of Law at Fordham University, New York. The Judicial Committee of the Privy Council was the final appellate court of the British Empire. In 1935 the Irish Free State was recognized as the first part of the Empire to abolish the appeal to the Privy Council. This book examines the controversial Irish appeal to the Privy Council in the wider context of the history of the British Empire in the early 20th century. In particular, it analyses Irish resistance to the imposition of the appeal in 1922 and the attempts to abolish it at the Imperial conferences of the 1920s and 1930s. This book also outlines the means by which Irish governments attempted to block Privy Council appeals. It examines the reality of claims that the Privy Council appeal offered a means of safeguarding the rights of the Protestant minority within the Irish Free State. Finally, it reveals British intentions that the Privy Council act as the guardian and enforcer of the settlement embodied in the 1921 Anglo Irish Treaty. The conclusion to this work explains why the Privy Council was unsuccessful in protecting this settlement. 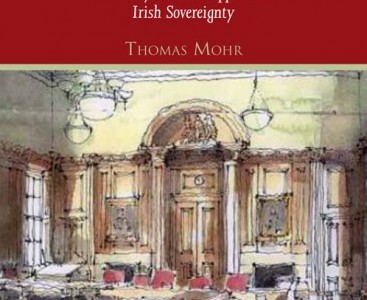 Thomas Mohr is a lecturer at the School of Law, University College Dublin. He is honorary secretary of the Irish Legal History Society. Kenny recounts a major cultural controversy that marked the recognition of the King’s Inns Library as an important part of the heritage of modern Ireland. In 1972 thousands of non-law books from King’s Inns were sold at Sotheby’s in London. The row that ensued involved many well-known people including Cearbhall O Dalaigh, Mary Robinson and Charles J. Haughey. The sale was criticized as the random dispersal of an irreplaceable collection and it raises vital questions about the proper care of libraries, about the relationship of general knowledge to professional expertise and about the problematic nature of Irish identity in a post-colonial era. 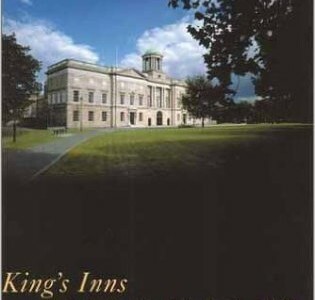 The books were sold because King’s Inns was in financial difficulty, a difficulty exacerbated by the fact that the benchers had recently renovated their kitchens. The government was kept informed by the benchers of their plans but failed to respond to a proposal that might have resulted in all of the volumes remaining in Ireland. Kenny suggests means of avoiding acrimony or major controversy in connection with any possible disposal of books by King’s Inns Library in the future. published by the Irish Academic Press in association with the Irish Legal History Society 1996. 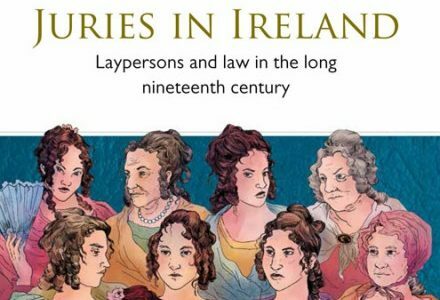 This book aims to reconstruct part of Dublin’s past from source material of an unconventional and unfamiliar sort: accounts Of lawsuits generated by the evolving fortunes of the city and surrounding district. To enable the significance of these lawsuits to be better understood and to lend coherence to the narrative as a whole, additional explanatory material has been incorporated, drawn principally from general and specialist local histories. But the choice of focus has been dictated by the presence of an inventory of lawsuits with a topographical bias. In his preface, Professor Osborough remarks that he is unaware of the existence of any equivalent published exercise carried out for any other large city. The contents include: introducing litigation topography; defining Dublin; the physical setting; the river, port and bay; re-naming Sackville street; landmark buildings; public utilities; recreation for Dubliners; burying Dubliners; assessment. Complete with a detailed index and tables of cases and statutes, this volume is enhanced by over 100 illustrations in black and white. published by Irish Academic Press in association with the Irish Legal History Society, 1996. Recalling the existence of an ancient and elaborate system of breton legal education, Kenny notes that little or no training was provided for lawyers within Ireland between the Tudor destruction of Gaelic society and the Victorian era. 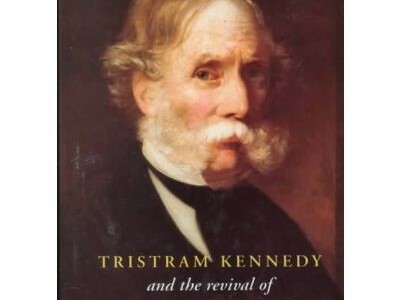 He describes the political and professional processes which led finally to the revival of legal training in the nineteenth century and the part played in that revival by Tristram Kennedy. Kennedy, a Protestant from Londonderry, established the Carrickmacross lace industry and represented in parliament the Catholic electorate of Louth. An account of his life is included. Particular attention is paid to the Dublin Law Institute which Kennedy founded and which he ran with the active support of the great educational reformer, Thomas Wyse MP. Special chapters are also devoted to the absence of a developed, chamber system in Ireland and to the experiences of those who finally succeeded in having repealed the long-standing requirement that they eat as Daniel O’Connell is said to have put it, ‘so many legs of mutton’ at the English inns.